Our goal is to tailor our services to the demands of the market, to educate the public about this exciting collectibles field and enable dealers to reach out to collectors who otherwise would have trepidation in purchasing uncertified bank notes. 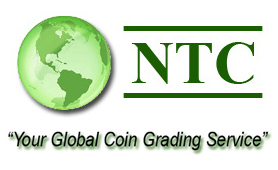 Since our inception, we have graded hundreds of thousands of pieces of currency. Our CEO, John V. Spinelli, has over 20 years of experience in the Numismatic and collectible currency field and is one of the industry's most respected and trusted numismatists. This along with a staff with over 40 years combined Numismatic experience make the CGA team the most knowledgeable in the industry and we are dedicated to professionally and accurately evaluating, authenticating and grading your notes. In addition to being the first paper money grading service, CGA was the first company to successfully apply the 70 Point Sheldon grading system. This system has been in accepted use for decades for coins. Under new ownership since 2009, CGA has implemented some welcome changes, one of which is our own " Original Paper Quality" (OPQ) designation for notes that retain their original state of preservation and have not been restored, enhanced, processed or treated in any way that would affect the originality of the note. A note designated as an "OPQ" note will have embossing evident and no problems of any kind such as tears, stains, or other issues. You can be assured the CGA note you are buying with the Original Paper Quality designation is just that, fully original. Other additions include implementing our new "Next Generation" holder and label. The holder is 30% thicker than our old holders and just as crystal clear and airtight. Our labels had a star on them for the last 5 years to signify new ownership and grading standards. As of august 2014, a Diamond symbol will replace the star symbol on our holders. Look for the Diamond or Star on your certified CGA note to be assured the note is covered under the CGA grading guarantee. There is no difference between the two other than when it was certified.